Black Raspberry (Rubus occidentalis) also known as “black cap”, is native to North America (eds. Funt, R.C., et al., 2013). Red raspberry, black raspberry and blackberry all belong to the same family “Rosaceae” aka the rose family, this group or genes is called brambles in Eastern North America and cane berries in Western North America (Hill, L., et al., 2011)(ed. Zhoa, Y., 2007). It grows in the wild between New Brunswick and Ontario in Eastern Canada and in the United States it is found in South Carolina, Georgia, Alabama, and grows into the Midwestern States of Missouri, Kansas, Minnesota and North and South Dakota (eds. Funt, R.C., et al., 2013). Black raspberry starts new plants when their canes stoop over and touch the soil and they begin to root a new plant (Hill, L., et al., 2011). Growing best in a shaded environment, they are available from July to mid-August and a resilient plant in the wild, however when it has been domesticated the shrub is prone to infection (as well as root rot and small fruit size) and must be replanted every 2-3 years (Robinson, J., 2013). Black raspberries are rich in vitamin A, Vitamin C, Vitamin E and folic acid, minerals such as calcium, selenium, zinc as well as fibre, anthocyanins, quercetin, phytosterols, chlorogenic acid, phenolics and bioactive compounds (Kresty, L.A., Mallery, S.R., et al., 2016). Black raspberries are more nutrient dense than red raspberries and have 3 times as many antioxidants than marionberries (Robinson, J., 2013). The main secondary compounds found within black raspberries that exhibit the most amount of benefit to our general well being and health are anthocyanins and protocatechuic acid. They aid in inhibiting the development of esophageal cancer, reduce inflammation and decrease macrophages and neutrophils (Peiffer, D.S., et al., 2015). Other compounds include bioactive polyphenols such as urolithin a-glucuronide and urolithin a-sulfate (Kresty, L/A., et al., 2016). Anthocyanins are plant compounds with antioxidant effects that have been shown to inhibit oxidative stress in preclinical skin cancer models. They boost the bodies antioxidant defence system. There are four major anthocyanins present in black raspberry which include; cyanidin-3-glucoside, cyanidin-3-rutinoside, cyanidin-3-xylosylrutinoside and cyanidin-3-sambubioside (eds. Tokusoglu, O., et al., 2011). Barrett’s esophagus refers to the changing of cells within the esophagus that is a direct result of a reflux of gastric juices and duodenal content moving upwards into the lower esophagus. The cells slowly begin to transform from esophagus tissues to tissues that resemble the intestinal lining. It occurs when gastroesophageal reflux disease or GERD has become a long time issue for an individual, making it a serious health complication (Kresty, L.A., et al., 2016)(Di Petro, M., et al., 2014). Although a small percentage of people are affected by Barrett’s Esophagus, it is a disease that is at a very high risk of turning into esophageal adenocarcinoma (EAC) or cancer of the esophagus (Di Petro, M., et al., 2014). Esophageal cancer is the sixth most common malignant tumour worldwide, with approximately 90% of all cases being esophageal squamous cell carcinoma (Shi, N., et al., 2017). Barrett’s Esophagus is strongly exasperated by obesity (2-4 times increase in EAC and 1.5-2 times increase in GERD), Smoking (1.6-2 times increase the risk of EAC). Alcohol research is mixed, showing a greater impact on esophageal squamous cell carcinoma (Kresty, L.A., et al., 2016). Although there are some genetic variables that come into play, such as the male gender, if someone has a hiatal hernia, old age and Caucasian race, a lot can be done by simply bringing positive changes to one’s diet. A diet high in vegetables, low starch foods and rich in antioxidants has been shown to decrease the risk of EAC (ibid). If you do eat meat it is important to purchase them from pastured farms so that the product is alkalinizing and not acidic. The elimination of foods that you are allergic to or have an intolerance to can be very beneficial. Consuming more foods that have cancer inhibiting properties, such as the black raspberry is another great way to combat the illness. 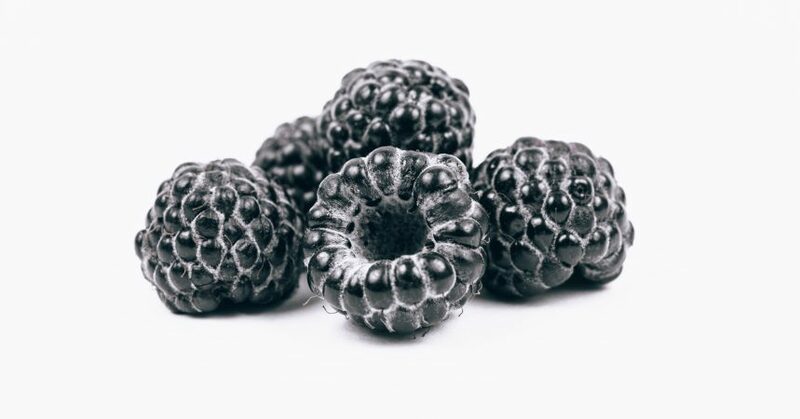 Lyophilized back raspberry (freeze-dried black raspberry) has been shown to inhibit the effects of oral, esophageal, colon, breast and skin cancer. 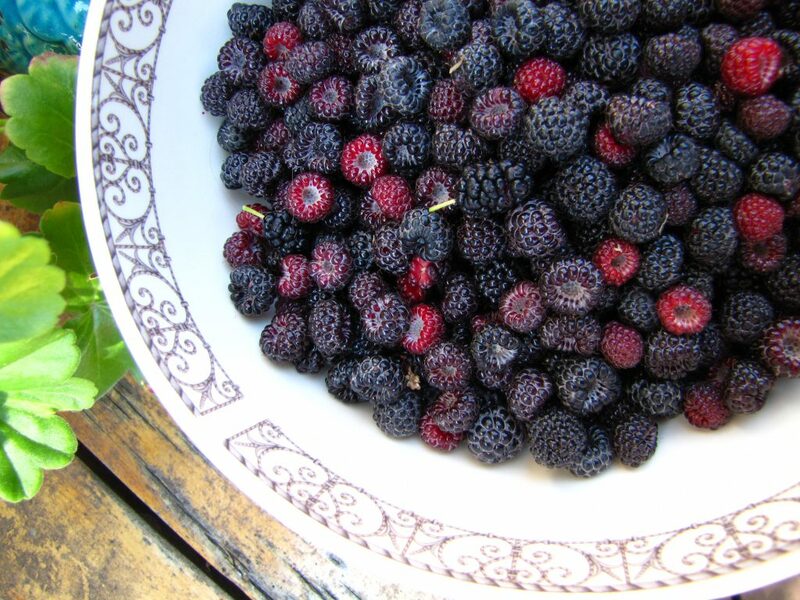 Freeze-dried black raspberry has a positive effect against Barrett’s Esophagus, showing to slow the progress of BE and protect the individual against GERD (Kresty, L.A., et al., 2016). 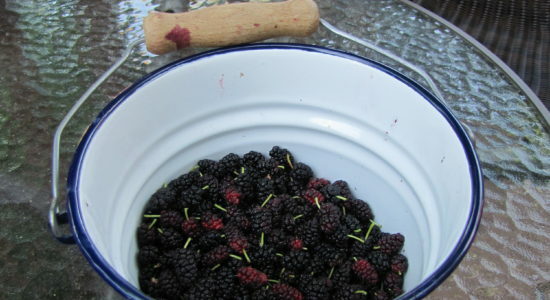 Freeze-dried black raspberries are often sold as a powder or in capsule form. Colorectal cancer is the second leading cause of cancer-related death in North America. 5% of Colorectal cancer can be prevented by exercising, maintaining a healthy weight, elimination of processed foods and acidifying animal products from intensive livestock operations and increasing the consumption of plants mainly leafy greens and foods high in antioxidants. Black Raspberries have a wonderfully positive effect on inhibiting proliferative effect on tumours (Kresty, L.A., Mallery, S.R., et al., 2016). 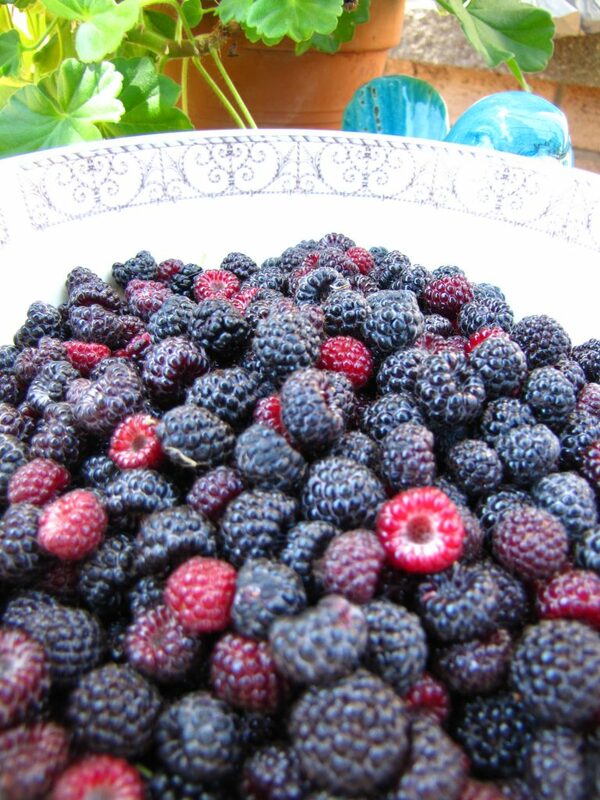 Consumption of black raspberries can have a wonderfully positive effect on cancer prevention. They possess a lot of actions such as being anti-inflammatory, chemoprotective properties (particularly of oral esophagus and colon cancer), aid in reducing oxidative stress, positively impacting metabolism and restoring tumour suppressive actions within the body. Black Raspberries boost up the immune system allowing the body to take care of itself and power through an illness (Kresty, L.A., Mallery, S.R., 2016). Apart from being beneficial for the digestive tract, the consumption of black raspberries can inhibit tumour growth within the prostate, showing a positive impact on reducing prostate weight by about 10% in a 2015 study looking at rats with prostate cancer. This same study showed a great reduction in tumour incidents as well (Narayana, N.K., et al., 2015). Consumption of black raspberries or black raspberry powder has been shown to increase the presence of anti-inflammatory microbial species in the gut such as akkermansia, desulfovibrio and anuerostipes. They aid in altering the gut microbiota in an a-positive way displaying health benefits for humans (Pan, P., et al., 2016). Akkermansia bacteria found in the mucosal layer of the gut has been shown to aid in weight control, shown to decrease obesity and type 2 diabetes in mice in a 2013 study. It’s presence in the intestine also aids in balancing blood sugar levels (Everard, A., et al., 2013). Oxidative stress is the imbalance between byproducts of oxygen consumption and reactive metabolites, reactive oxygen species and their elimination of antioxidants. 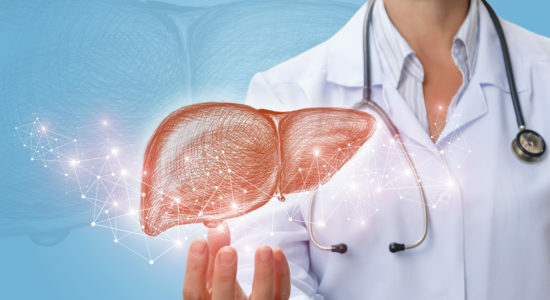 This imbalance in the body leads to the accumulation of damage to key macromolecules and underlies the initiation and subsequent progression of cancers which include Esophageal Squamous Cell Carcinoma (ESCC) and damage to DNA. Oxidative stress is also one of the main components of developing inflammation, particularly one associated with the progress of cancer (Shi, N., et al., 2017). One pound of fresh raspberries is equivalent to 1 teaspoon of freeze-dried raspberries. The concentrated dosage aids in the prevention of skin cancer, oral cancer, esophageal cancer and healing lesions (Yost, D., 2010). Blackberry powder has been shown to reduce the growth rate of cancer cells in the colon at a dosage of 20g / 3 x daily for a 3 week period (eds. Tokusoglu, O., et al., 2011). I would recommend consuming black raspberries raw when they are in season and adding freeze-dried powdered black raspberries into your diet during the rest of the year! Choosing wild is best when you can. Di Pietro, M., Alzoubaidi, D., & Fitzgerald, R. C. (2014). Barrett’s Esophagus and Cancer Risk: How Research Advances Can Impact Clinical Practice. Gut and Liver, 8(4), 356–370. Online available at PubMed. Everard, A., Belzeri, C., Geurts, L., Ouwerkerk, J.P., Druart, C., Bindels, L.B., Guiot, Y., Derrien, M., Muccioli, G.G., Delzenne, N.M, de Vos, W.M., Cani, P.D. (2013). Cross-talk between Akkermansia muciniphia and intestinal epithelium controls diet and intestinal epithelium controls diet-induced obesity. PNAS. Volume 110, Issue 22, page 9066-9071. Hill, L., Perry, L. (2011). The Fruit Gardener’s Bible: A Complete Guide to Growing Fruits and Nuts in. Storey Publishing: North Adams; Massachusetts. Kresty, L.A., Fromkes, J.L., Frankel, W.L., Hammond, C.P., Seeram, N.P., Baird, M., Stoner, G.D. (2016). A Phase I Pilot Study Evaluating the beneficial effects of black raspberries in patients with Barrett’s esophagus. Oncotarget, Advanced Publications. Kresty, L.A., Mallery, S.R., Stoner, G.D. (2016). Black Raspberries in Cancer clinical trials: Past, Present and Future. Journal of Berry Research. Volume 6, Issue, 2, Pages 251-261. Narayanan, N.K., Stoner, G.D., Peiffer, D.S., Galdanes, K., Larios, E., Mark, A., Maziniski, L., Chiriboga, L., Bosland, M.C. (2015). Abstract 2800: Dietary Black Raspberries (BRBs) inhibit tumor progression in PTEN-deficient mouse model of prostate cancer. Cancer Research. Volume 75, Issue 15. Pan, P., Lam, V., Salzman, N., Huang, Y.W., Yu, J., Zhang, J., Wang, L.S. (2016). Black Raspberries and Their anthocyanin and fibre fractions alter the composition and Diversity of Gut Microbiota in F-344 Rats. Nutrition and Cancer. Volume 69, Issue 6, Pages 943-957. Peiffer, D.S., Wang, L.S., Zimmerman, N.P., Carmella, S.G., Kuo, C.T., Chen, J.H., Oshima, K., Huang, Y.W., Hecht, S.S., Stoner, G. (2015). Dietary consumption of black raspberries or their anthocyanin constituents alters innate immune cell trafficking in esophageal cancer. Cancer Immunology Research. Online Available at PubMed. Robinson, J. (2013). Eating on the Wild Side: The Missing Link to Optimum Health. Little, Brown and Company: New York. Shi, N., Chen, F., Zhang, X., Clinton, S.T., Tang, X., Sun, Z., Chen, T. (2017). Suppression of Oxidative Stress and NFKB/MAPK Signaling by lyophilized Black Raspberries for Esophageal Cancer Prevention in Rats. Nutrients. Volume 19, Issue 4, page 413. Online Available at PubMed. eds. Tokusoglu, O., Hall, III, C.A. (2011). Fruit and Cereal Bioactives; Sources, Chemistry and Applications. CRC Press Taylor and Francis Group: New York. Yost, D. (2010). The Anti-Cancer Food and Supplement Guide. St.Martin’s Paperbacks: New York. ed. Zhao, Y. (2007). Berry Fruit: Value-added Products for Health Promotion. CRC Press Taylor & Francis Group: New York.